Since its opening in the Fall of 1976, the Stockton Performing Arts Center has sought to provide audiences from throughout the region the opportunity to experience a wide variety of cultural programming by professional touring companies of regional, national and international stature. 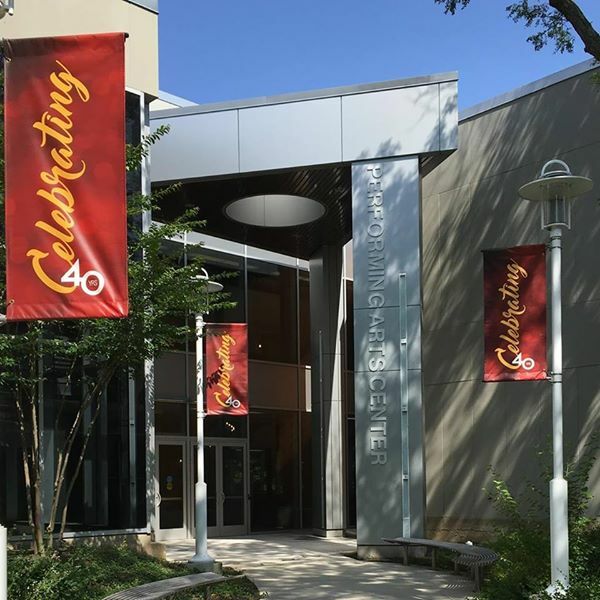 From an initial offering of only a half-dozen events during its inaugural season, the Performing Arts Center has grown to become the preeminent arts institution serving the Southern New Jersey and Greater Atlantic City Regions. The Center is the site of dozens of activities ranging from community convocations, lectures, recitals, film and video presentations produced by members of the college community and/or the general public. In addition, the Center is also the site of numerous college-based activities, which although open to the public, are more limited in their appeal due to their academic or co-curricular nature. Set within the academic complex of Stockton University in Galloway, NJ (conveniently located near the crossroads of the Garden State Parkway and the Atlantic City Expressway), the Center is only 12 miles west of Atlantic City, NJ. Because it is so conveniently located within the corridors serving the New York, Philadelphia and Washington areas, the Stockton Performing Arts Center has been able to consistently offer an ambitious array of programming that rivals its larger, metropolitan contemporaries. The Performing Arts Center's strikingly continental design provides an intimate setting for its audiences to experience some of the country's as well as the world's most acclaimed ballet, modern and contemporary dance troupes; classical, jazz and popular orchestras and opera as well as musical theatre, drama and comedy. For over three decades, the Stockton Performing Arts Center has been the preeminent multidisciplinary presenter in the southeastern region of the state. No other facility offers such a full array, both culturally and artistically, of the performing arts within the public or private sector.